Red roses are the symbol of love, affection, passion, romance, and care. 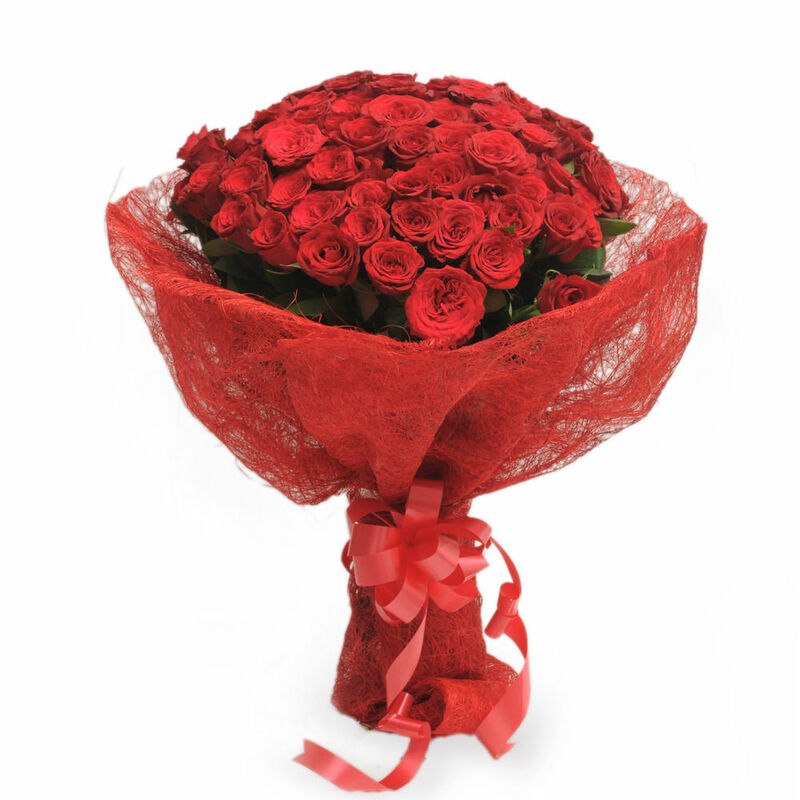 Show your love by gifting this luxurious bunch of 50 red roses. Already in love or about to fall for someone â€“ this bouquet is your best mate to express your feelings sweetly, elegantly and generously. Let the velvety petals of red roses speak of your heartfelt romantic love!